Bible Prophecy, Bible Studies, Videos, Articles, & Much Much More! Preparing a People for the Saviour's Soon Return! Baptism: How, Why, & by Whom? Flat Earth: Letting Go of the Globe! Get out of her, My people! Meet new people from all over the world, make friends, change your status, upload photos, earn points, & so much more! Chat, post comments or questions on our forum, or send private emails to your friends! There is so much to do and Learn here at World's Last Chance! Join our growing Christian Community Today and receive your Free Gift! Right click and Save Target As... to download file. Miss Wagner was worried. The afternoon field trip to the train museum with her class of second graders had gone well. The children had been interested and (for the most part) well behaved. She had been able to put a stop to Chad and Tim’s brief tussling match before anything had been damaged at the museum. She had been able to find a bathroom just in time for little Lindy, who, by rights, should still be in first grade. And all of the children had been picked up by their parents at the museum on time, all but one. Pamela Forsythe had not been picked up. Three o’clock had come and gone. Long gone, then four and now five. Miss Wagner did not have Pamela’s home phone number and, by this hour, there was no one left at the school of whom she could inquire. She did not know where Pamela lived and, what is more, little Pamela did not know either. Indianapolis, in the fall of 1964, was on edge with racial tension. The transportation museum was not in the best part of town and Miss Wagner was getting nervous. If she took Pamela home with her, she would have no way to let her parents know where the little girl was. With no way to contact them, she could do nothing but sit and wait. And wait. And wait. At a quarter after 5 o’clock, the man who ran the museum came out. He was worried, too. 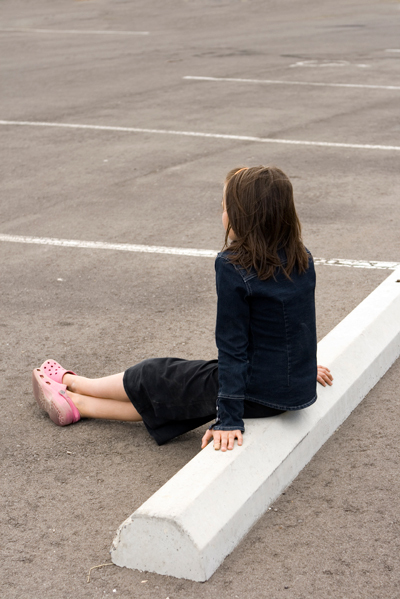 He did not like to drive off and leave a woman and child alone in the gathering darkness of the parking lot. Driving home, Miss Wagner marveled at how calm Pamela had been. She was not nervous. She was not scared. She was not worried. She knew that mother would come. The thought clearly never entered the little girl’s mind that mother might not come. Instead, she had been relaxed, cheerfully playing games and visiting with teacher. She had complete and total confidence that mother would come because mother had said she would. This total faith in her mother allowed Pamela to wait the long hours with patience. Language, however, is fluid and few languages are more so than English, which is constantly adding words and changing definitions in its ever-expanding vocabulary. To grasp the full significance of what the Bible is referring to when it instructs believers to exercise “patience,” it is necessary to learn how the word was defined when the Bible translators selected it to represent the original Greek word. The struggles and trials that beset the path of all who follow Yahuwah are allowed by infinite Love. These very trials can be overcome only by faith and trust in divine power. This gives each person individual knowledge, individual experience that Yahuwah is trustworthy. When, in answer to the prayer of faith, Yahuwah works a mighty deliverance, gratitude is awakened in the heart. In turn, gratitude for blessings received inspires love. This is a self-perpetrating cycle for the love that is gained through this experience inspires still greater faith! Choose to believe the promises given in Scripture. These are Yahuwah’s words to you. Base your trust on your personal knowledge of Him as an all-powerful, all-loving Creator. It was for this very reason that Yahuwah has given countless promises in His Word. 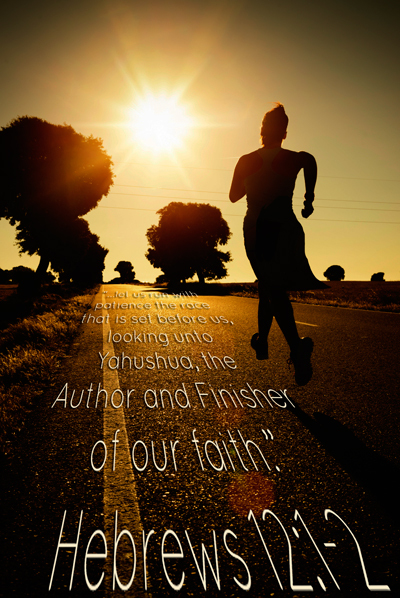 Paul likened this experience to that of a long-distance race, encouraging: “Wherefore seeing we also are compassed about with so great a cloud of witnesses, let us lay aside every weight, and the sin which doth so easily beset us, and let us run with patience the race that is set before us, looking unto Yahushua, the author and finisher of our faith.” (Hebrews 12:1 and 2) The Christian life is like a long-distance race. It cannot be won in a quick sprint. Rather it takes patience, a steadfast will and a willingness to wait long for the reward. The promises of Yahuwah’s Word are given to strengthen believers in their individual races. Revelation reveals that the final generation will possess the spiritual grace of patience. It is interesting to note that each instance is given in the context of the final struggle between Yahushua and Satan. All who will overcome the devil in earth’s final struggle will do so only in the strength of Yahuwah. This strength is theirs through faith in their Redeemer. By exercising faith, based on their knowledge of His character, they will exercise patience. Like Yahushua in the Garden of Gethsamane, their faith will be tested to the uttermost. Like Yahushua on the cross, there will be times when, emotionally, they will feel as though their Heavenly Father has at last forsaken them. Like Yahushua, they will overcome by reposing their trust entirely in Yahuwah. They will submit their wills to the divine will and wait for Him to deliver in the way He knows best. They are content to wait long for justice, knowing deliverance and rewards beyond their wildest imagination will come to those who trust the Saviour. The saints trust Yahuwah. They trust His promises. 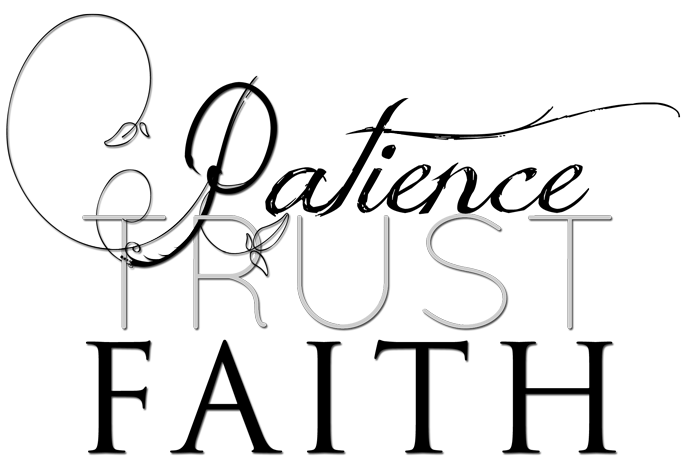 This trust has been built upon individual experience. They know that “Faithful is he that calleth you, who also will do it.” (1 Thessalonians 5:24) They can endure hardship, persecution and scorn because they have complete confidence that Yahuwah will deliver them and the promised reward is sure. All who develop patience through faith in Yahuwah shall be heirs of Yahuwah and joint heirs with Yahushua. But those who do not develop patience will be lost. This is a long, very comprehensive list of who are lost! It is no surprise that sorcerers, idolaters, liars, whoremongers and murderers should be lost. But the fearful? Why should a person be lost just because he is afraid? The answer is simple: the “fearful” are lost because they are “unbelieving.” Faith is simply taking Yahuwah at His word because of who and what He is (all-Love and all-Powerful), and needing no other evidence. Therefore, lack of faith in His promises is, in essence, calling Him a liar. The substance of things hoped for. For the miracle has happened to me. Yahuwah said it! And I believe it! And that settles it for me . . .
I’ve chosen to believe it, now how about you? And that settles it for me. But that does not have to be the fate of any! 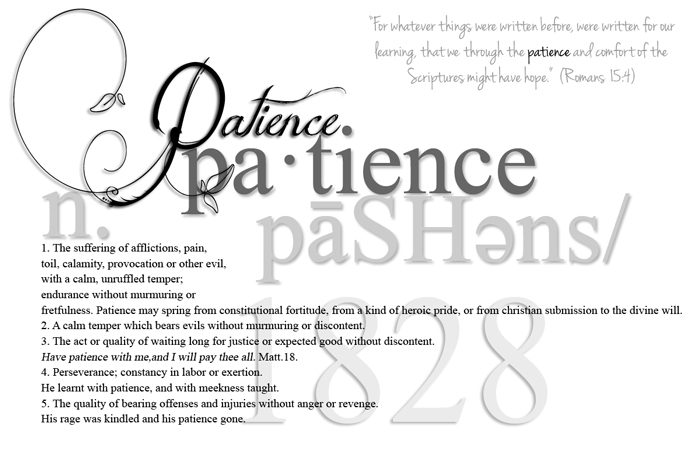 “The Master is not slack concerning his promise, as some men count slackness; but is longsuffering to us-ward, not willing that any should perish, but that all should come to repentance.” (2 Peter 3:9) If you lack knowledge, if you lack faith, if you lack patience – ask Yahuwah for it! He will withhold no good thing from His children. Because faith is not based upon feelings, make the simple choice today to trust in Him regardless of your feelings! Make it a habit to wait, trustingly, patiently upon Yahuwah. Make it a daily habit to rest in Yahuwah. Claim His promise, trust in His word. You, too, may have the patience of the saints and “inherit all things” with Yahushua our Saviour. 1 Webster’s New Universal Unabridged Dictionary, Second ed., 1983. 2 Noah Webster, American Dictionary of the English Language, 1828. 3 All Scripture references taken from the King James Version of the Bible unless otherwise noted. The correct Names have been restored. A Biblically-based community focused on prophetic truths revealing the imminent return of the Saviour. Copyright © 2004-2019 by World's Last Chance®. World’s Last Chance and WLC are both registered trademarks with the U.S. Patent & Trademark Office.